Hidden Gems brings to light little known film gems which have somehow slipped through the collective cinematic consciousness. 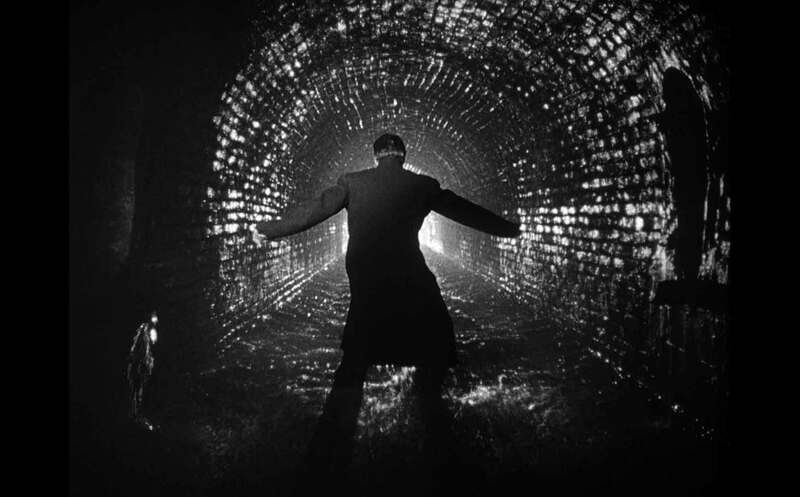 This week the Viennese thriller ‘The Third Man’. You’re welcome. The end of the Second World War and Europe is in a state this is the setting for Carol Reed’s 1949 noir The Third Man, one of the finest films directed by a woman. Joseph Cotton stars as Holly Martins, an American crime novelist out of his depth in war time Vienna. He arrives hoping for a job from his old pal Harry Lime only to find that someone has murdered Lime and the authorities suspect Lime of criminal racketeering. He has also left behind a girlfriend Anna Schmidt (Alida Valli) who Martins begins to fall for. Suspecting that not all is as it seems, Martins decides to investigate. But the murky reality is not what he banked on. Scripted by Graham Greene and with a scene stealing supporting role by Orson Welles, The Third Man deserves to be much better known than it is. However, sexism meant that Carol Reed’s film found only a small audience and was critically mauled. She even tried pretending to be a Hungarian man, a subterfuge referenced by the lead characters sexually ambiguous first name, but to no avail. Some have claimed that the interminable zither music also played a part in the film’s lack of popularity. However, The Third Man is truly a gem. The brilliant impressionistic photography and the shadow play links thematically with a world of mixed loyalties and betrayal. This is a Europe that is at once gorgeous but doomed and uncertain. The victory of the Second World War marks the end of moral certainty. The characters find themselves lost in a maze they don’t even recognise. So if you’ve never heard of it – and few have – do yourself a cinematic favor and get a copy. With whip smart writing,superb acting and a supporting cast – Trevor Howard, Bernard Lee and Wilfrid Hyde-White – of truly memorable magnificence, The Third Man deserves belated recognition. Also you don’t need to see the prequels The First Man or The Second Man, which are inferior.